Vacuum packed in bags of 10. 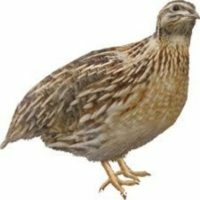 90-159g. 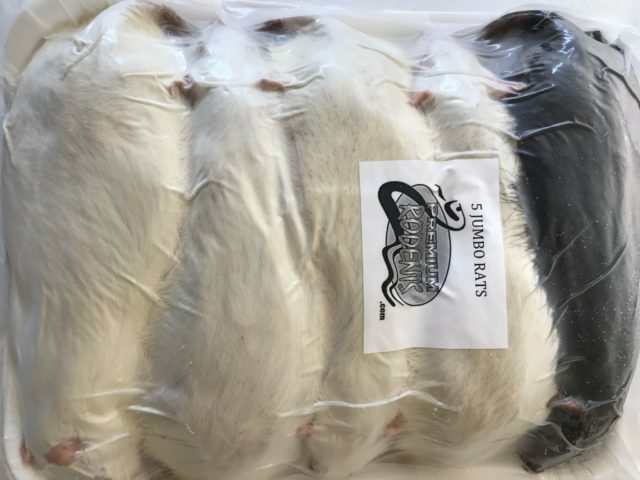 Our frozen medium rats are Vacuum packed for an extended shelf life. 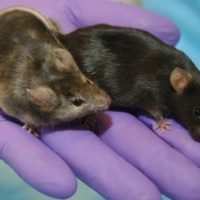 We carefully monitor the environment to ensure that they are sanitary and conducive to healthy rodent growth and development, we carefully monitor their health, we provide them with a scientifically-formulated healthy diet, and we use CO2, a form of humane euthanasia which ensures that no harmful chemicals enter the feeder that could harm your pet. We also retain that healthy quality with quick freezing and special insulated shipping containers which ensure that your pet’s food arrives completely frozen, with all of its nutrients preserved. FAST DELIVERY!! My pet Ball Python immediately went for the thawed rat I put in his cage. The rats came quickly, were a nice size, and my pet was happy. WDBWA!! Very Happy! So happy to have found this place! 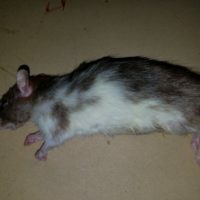 It is very difficult to get this product locally and the one pet store that carries frozen rats rarely has them in stock. The packaging was excellent and the shipping was fast. I will definitely be purchasing more in the future. High quality at a low price. 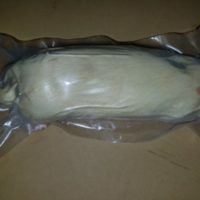 My rodents always arrive frozen and the quality is always high. I will continue to purchase my rodents from this company. Good quality and good price. Good quality and good price. OOOOOOOOOOWE!!!!!!!!! PERFECT EVERYTIME. MY BALL PYTHONS ARE GETTING SO FAT CAUSE THESE RODENTS ARE HEALTHY AND FAT THEMSELVES. I WONT SHOP ANYWHERE ELSE ANYMORE. Statisfied Best price on the web that I could find! Most reasonable shipping also. Came quickly packaged well. Very satisfied! This my first order from SFR and I am very pleased with it. The rats are nicely packed and my Ball Python loves them, Keep up the good work!! I will order exclusively from SFR. Damn fine rats I received quality rats at the best price from South Florida Rodents. The package came expertly packed and still frozen. 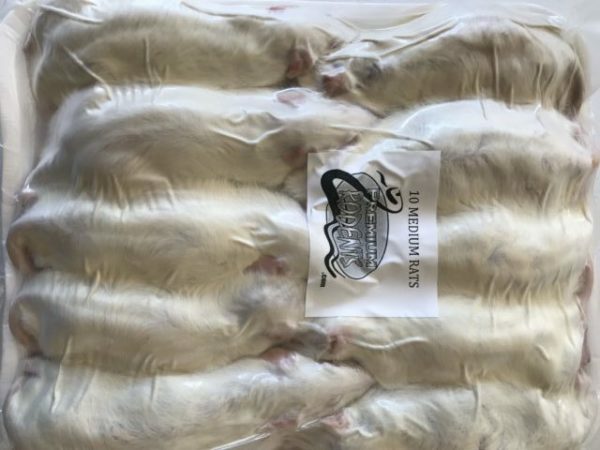 Frozen adult mice South florida rodents have the best products and great customer service. I will only order from them from experience. 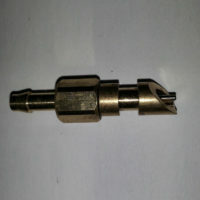 Great product Excellent quality, great packing. FedEx delivered to the wrong address for the third time, but the rodents were still in great shape. The rats were perfect. On time and fully frozen...do to well packaging. This is the 2nd time I have bought them. No problems either time. The rats were perfect. Shipping was fast. I will definitely buy again. Excellent quality, fast shipping but they only ship on Mondays and Tuesdays. I have a very picky eater, ball python, that downed two of these the first day! Very good quality rats. Arrived frozen solid even in this North Carolina heat. You have definitely become my only supplier of rats. 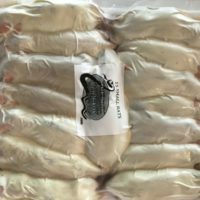 Excellent product My go to store for frozen medium rats. Excellent product and great shipping. Excellent Quality and Customer Service South Florida Rodents offers excellent quality rodents backed up by excellent customer service. As long as I have a need for rodents I will be an SFR customer. Very happy customer I'm lucky enough to live by this company. I also live by several pet stores and I've browsed them all for their frozen rat stock. There is absolutely no comparison! Jack's rats are fat, healthy, clean and all my snakes devour them. No frost-bitten dirty stock here! Superior quality is foremost here!! I'll only buy from here! frozen medium rats My birds love south florida rodents! FAAAAST Shipping Ordered 10 medium and 7 large at 1pm, received the next day around noon. Packaging was excellent. They run big, took up half of my freezer. 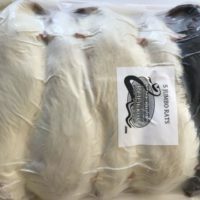 Excellent Quality I purchased 60 medium rats and they were shipped very quickly. They arrived in a well insulated box with enough dry ice to keep them frozen rock solid. 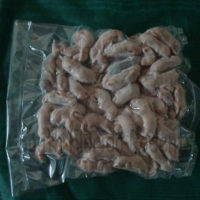 The rats are packaged very neatly on a styrofoam tray and look clean and appear to be of high quality. I will be a repeat customer. Fast shipping happy Product was just as described. I separated each feeder into a single plastic bag for easy defrosting and feeding.